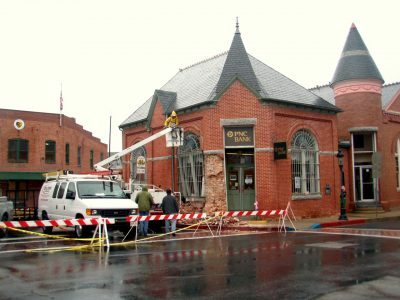 In October 2010, a vehicle ran into the PNC Bank on the corner of South Main Street and Bay Street in Berlin, MD. Significant damage occurred to the building, which is located in a National Historic Register (NHR) District. GMB’s services were obtained to observe the damaged section of the building and provide recommendations to stabilize the structure. 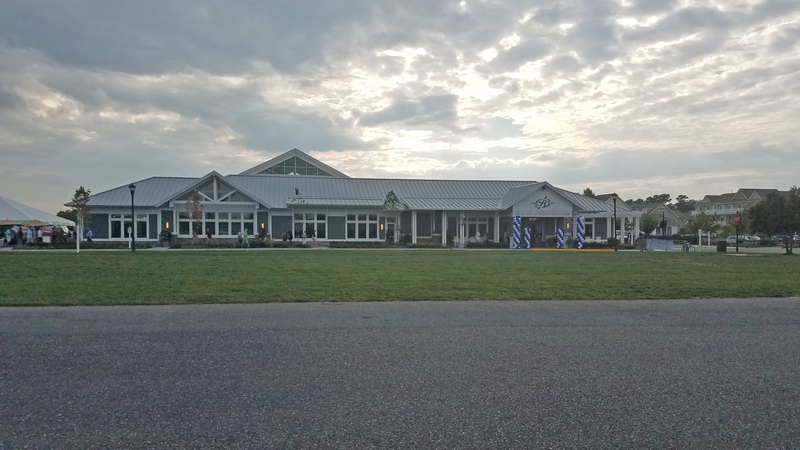 This included full design drawings detailing the renovation and new construction portions of the existing building and façade to restore the structure to its original condition. GMB presented the restoration design to the local historic commission to maintain the character of this historic property, which was approved. GMB was again contracted in 2011 to review the existing drive-thru canopy and rear bank access, and suggest alternative options for review and presentation to the Berlin Historic Commission via graphic renderings.